Amy Bizon-Copp concentrates her practice on drafting and prosecuting patents for a major Korean electronics company and various mid-size domestic and foreign companies, with respect to both the U.S. Patent and Trademark Office and foreign patent offices. She provides client counseling on numerous aspects of intellectual property strategy and gives instructions to foreign associates regarding both domestic and foreign patent prosecution. Amy’s technical expertise is in the mechanical arts, in both devices and processes in a wide variety of technical areas, including nanotechnology; semiconductor devices and processing methods; and mechanical and electrical devices. 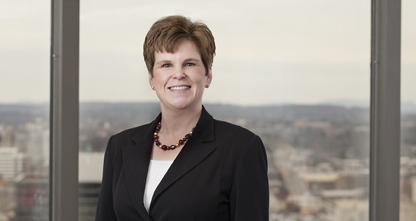 Prior to joining the firm, Amy managed regulatory and compliance activities for high volume, critical component manufacturers in both the medical and aerospace industries.